For patients with significant heart valve disease, surgical options for treatment include valve repair or replacement. The choice between repair and replacement is influenced by a number of factors including age, type of the valve disease and other medical conditions. When valve replacement is performed, there are options of mechanical or tissue heart valves. These two classes of valves confer different characteristics and each have their advantages and disadvantages. attack or stroke. These valves should be avoided in women of child-bearing age, as warfarin is not for use in pregnancy, and those with a high risk of falls or bleeding. to assist in deployment during surgery. As with mechanical valves, the bottom of a tissue valve is often surrounded by a ring of knitted fabric that is sewn onto the heart. In addition to animal-derived valves, a human tissue valve from a donor human heart, known as an allograft or homograft, may also be used as a replacement valve. Tissue valves can be used in open heart surgery or in a minimally invasive aortic operation known as transcatheter aortic valve implantation (TAVI). Advantages of tissue valves compared to mechanical valves include the avoidance of lifelong warfarin therapy to prevent the development of blood clots. A disadvantage is their relatively poor durability compared to mechanical valves, with many requiring a re-operation in 10 to 20 years. The decision to select the optimal valve type is influenced by numerous factors relating to the individual patient. Compared to tissue valves, mechanical valves increase a patient’s risk of blood clot formation as well as severe bleeding from the mandatory anti-clotting medication. As a result, tissue valves are often more suitable than mechanical valves for patients who have a high risk of clotting or bleeding. Women who plan to have children also fall into this category as warfarin cannot be used in pregnancy due to the risk of causing fetal malformations. 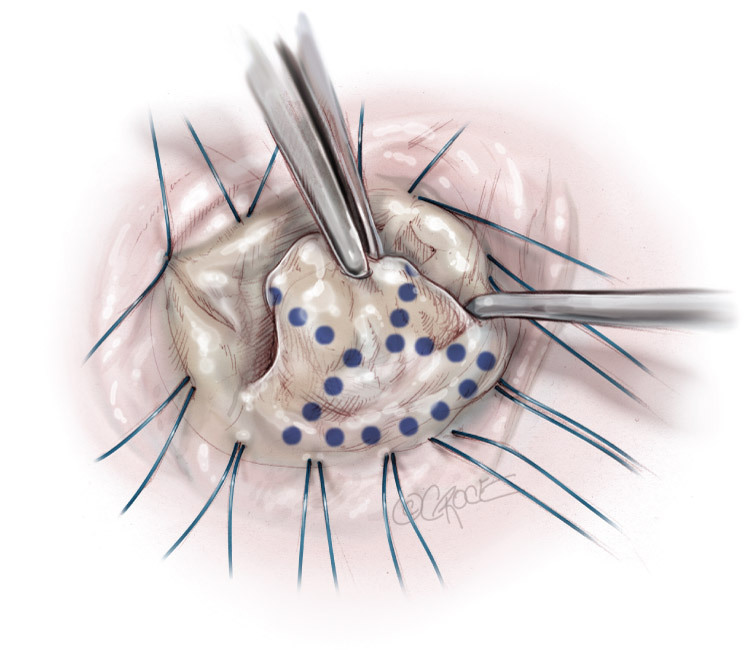 On the other hand, mechanical valves are more durable and so are often more favorable in younger patients who otherwise would likely require subsequent re-operations to replace a degenerating tissue valve. Apart from these differences, there is no significant difference in long-term survival between these two types of valves. As with all major heart operations, there are a number of possible complications from valve replacement surgery, including bleeding, infection, heart attack and stroke. There are also the intended benefits of reducing symptoms, increasing survival and improving one’s quality of life. For all decisions, including whether or not surgery is appropriate, what type of surgery is best and what type of valve is most suitable, the risks should be weighed against the benefits and discussed with your surgeon.